Governments Canada is also available as a searchable online database. Monthly updates allow you to access the most current data and focus your research with broad or specific search queries. Search our 38,000+ executives and instantly download lists for mailing or further research. This is an indispensable tool for all your marketing or research needs! Governments Canada is the most complete and comprehensive tool for locating people and programs in Canada. Governments Canada provides regularly updated listings on federal, provincial, territorial and municipal government departments, offices and agencies across Canada. Branch and regional offices are also included, along with all associated agencies, boards, commissions and crown corporations. Listings include contact names, full address, telephone and fax numbers, as well as e-mail addresses. 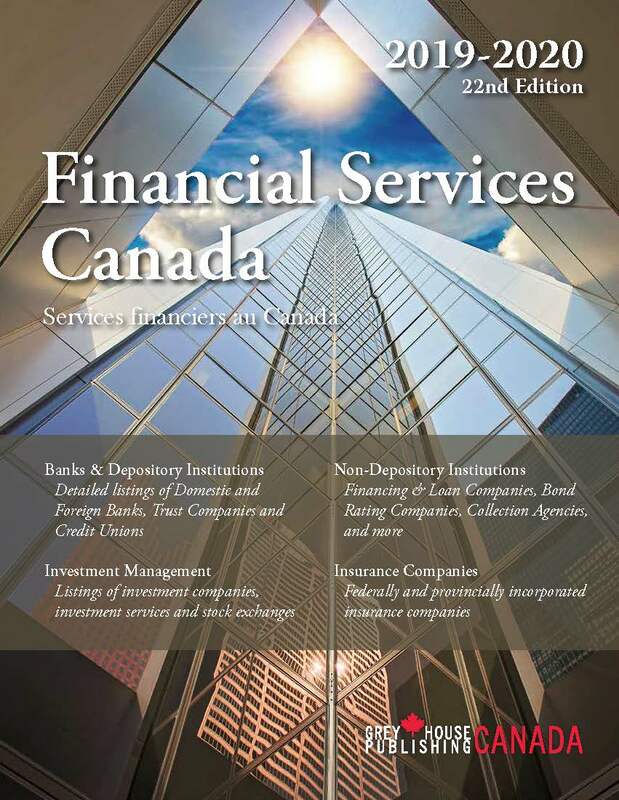 This 11th edition includes significant provincial and territorial updates, including the recent general elections in British Columbia, Nova Scotia and Nunavut; by-elections in Manitoba, Newfoundland & Labrador, Ontario, Québec and the federal government; and cabinet shuffles in Manitoba, New Brunswick, Newfoundland & Labrador, Ontario, PEI, Québec, Saskatchewan and the federal government. Information on ongoing changes in the Senate is also included. The municipal section includes results of recent elections in Alberta, Newfoundland & Labrador and Québec. This edition also includes updated information on diplomatic representatives, including the latest major diplomatic appointments. The Highlights detail major changes and events that have occurred in Canadian politics since the last election. Check here for news of elections, cabinet shuffles, major appointments and brief summaries of recent events. A detailed list of references to topics of interest, under which the applicable contact branch, division, office or department is listed by name, with full address, phone, fax and email details. This is designed to be a one-stop reference for the user who wants a quick contact for a broad range of subjects. 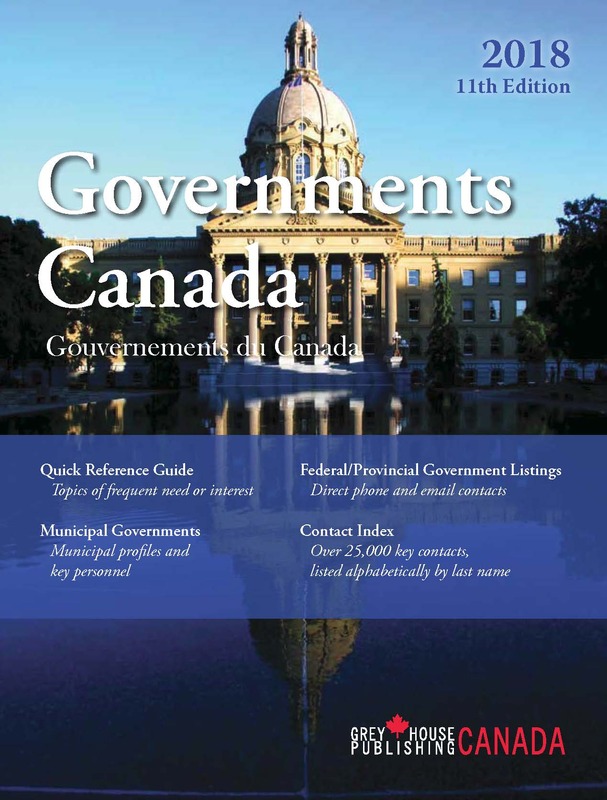 Federal government listings are followed by provincial and territorial government listings in alphabetical order. The sections are tabbed to provide easy visual access. Each section contains a table of contents including page references for major departments, ministries, agencies, boards and commissions within that government. Details on the Legislature follow, with date of the last general election, current party standings, and member salaries, indemnities and allowances. Included are listings for MPs, MPPs, MLAs, MNAs, etc., with constituency, party affiliation, phone, fax and email. Government departments follow and are listed alphabetically by keyword, along with large stand-alone agencies. A list of Acts Administered by the department or ministry is also included. Following the provincial listings is the municipal section, which is arranged by provinces and by municipal type. 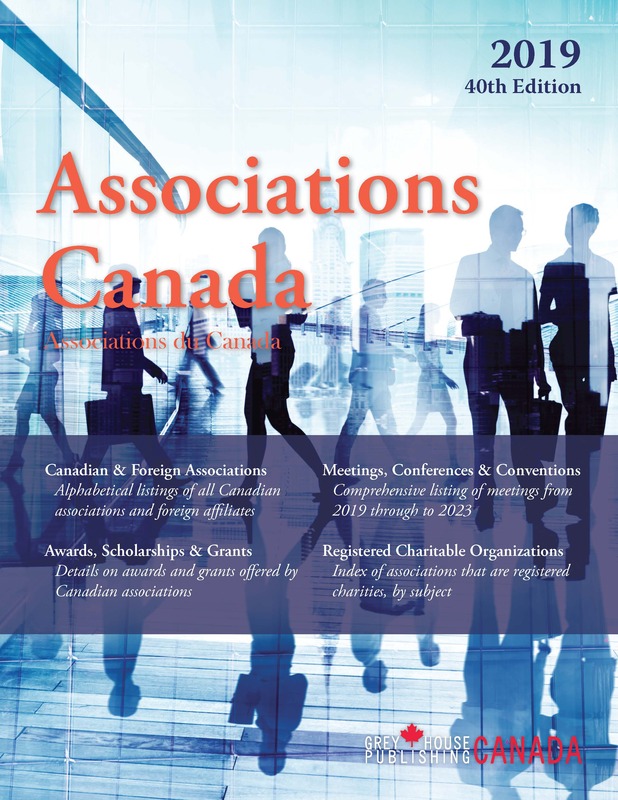 The diplomatic section is arranged into two sub-chapters: foreign embassies in Canada, and Canadian embassies abroad. Most of the information in Governments Canada is available in databases that can be sorted and combined to provide you with mailing labels by category or subject interest. Lists are provided in printed or electronic form. Governments Canada is an essential tool for lobbyists; lawyers, accountants and consultants; librarians; embassies and consulates; government; and suppliers to government, and is the most complete source for key Canadian government contacts and information. 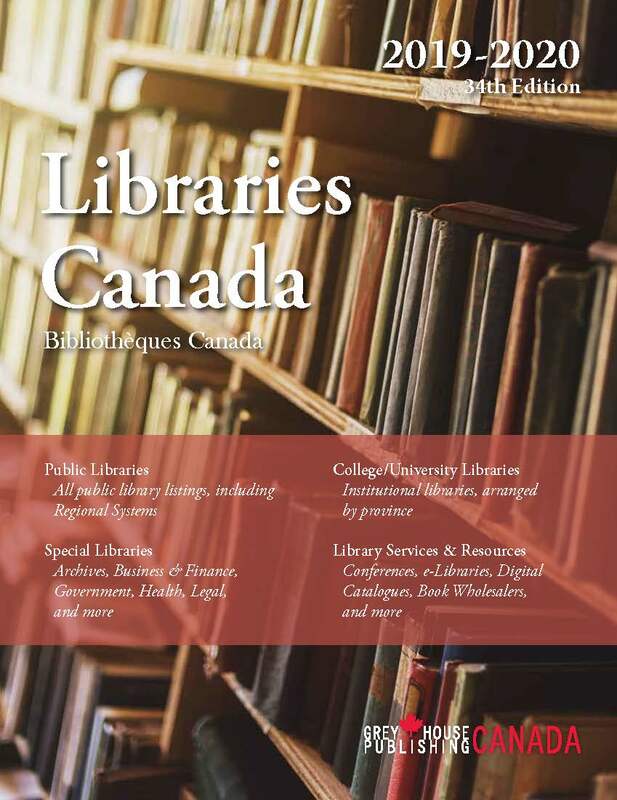 Libraries Canada brings together over 7,000 listings including libraries and their branches, information resource centres, archives, government libraries and library associations and learning centres.